Coming St. 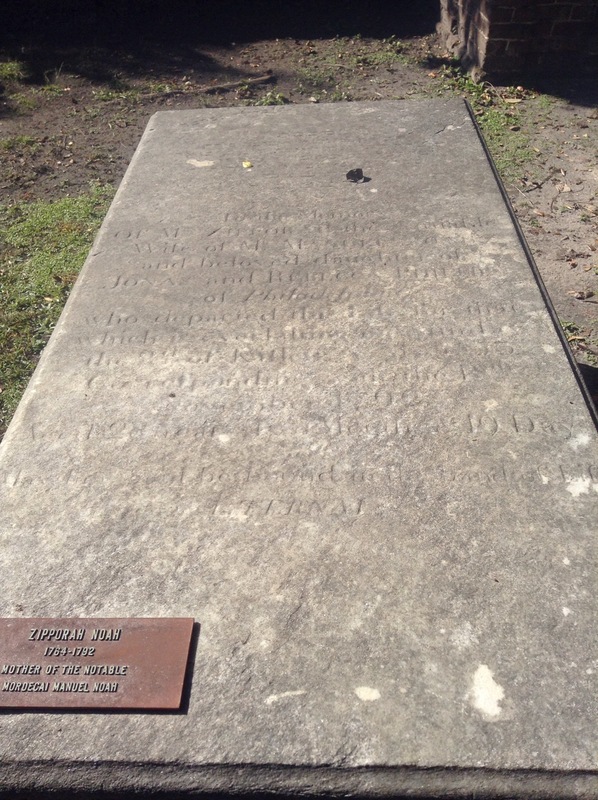 Cemetery – Charleston, S.C. I now know that the most impressive early American Jewish cemetery is in Charleston, South Carolina. I was struck by its size, and by the variety of its tombstones. 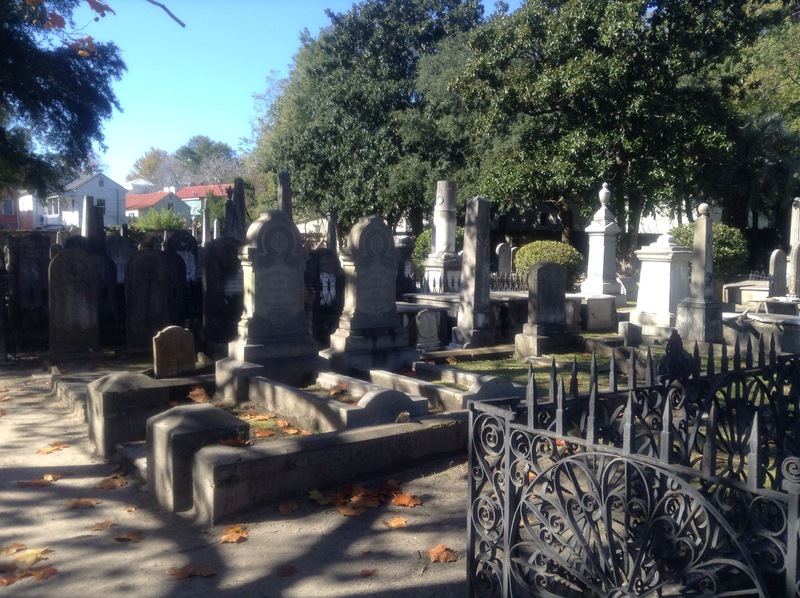 The cemetery dates back to 1754 when the land was purchased by Isaac Da Costa. The oldest identifiable tombstone is that of Moses Cohen, a ‘Learned Jew’ who served as the religious leader of the congregation. 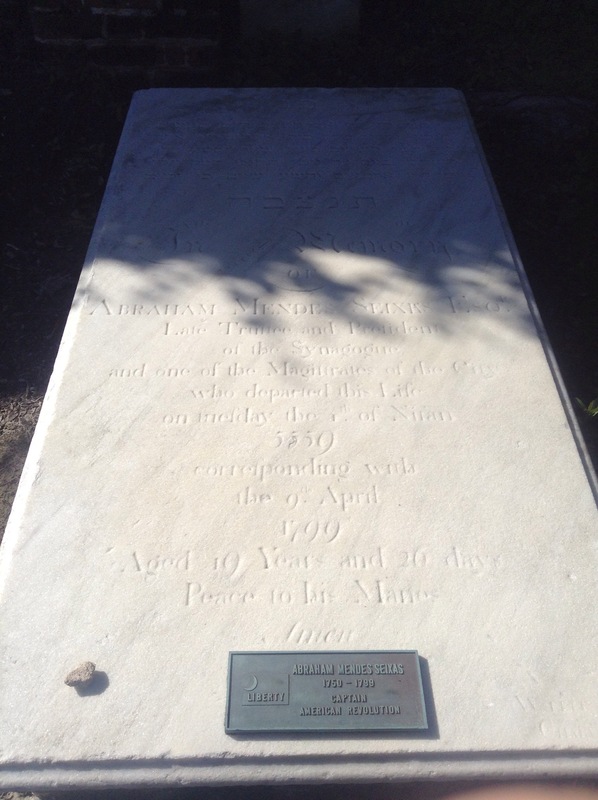 I recited a hashcaba (Spanish & Portuguese memorial prayer) at his grave on his behalf and on behalf of everyone else interred at the sacred site. The cemetery includes a section separated by a now broken brick wall. The wall had separated between the burial sites of Beth Elohim and its breakaway Shearith Israel during the mid 1800s. Beth Elohim now oversees the entire area, though seeks donations to restore and preserve the Shearith Israel section. There are many veterans buried throughout, including those who fought for the American Revolution as well as for the Confederacy. Their stones are marked and are honored each year before Memorial Day. Indeed, the first Jewish casualty of the Revolution was Francis Salvador of Charleston who was also the first Jew elected to public office. 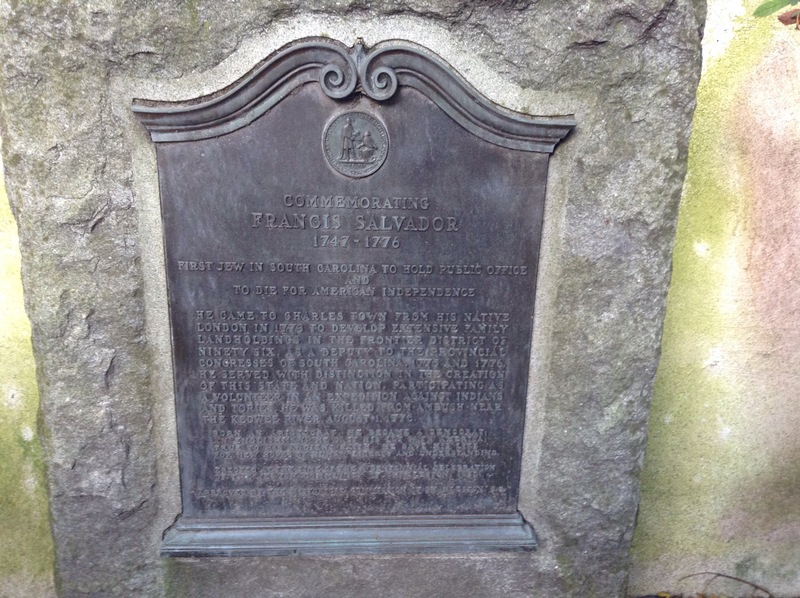 Though not buried in the cemetery, a plaque honors him in one of the town squares. Several of the tombstones were memorable to me. They gave a sense of how all of the early congregations were intertwined and were therefore in many respects one large family. First, Zipporah Noah, mother of the famed Mordecai Manuel Noah whose picture hangs in the Shearith Israel entranceway. Also, Abraham Seixas, brother of Shearith Israel patriot minister, Gershom Mendes Seixas. 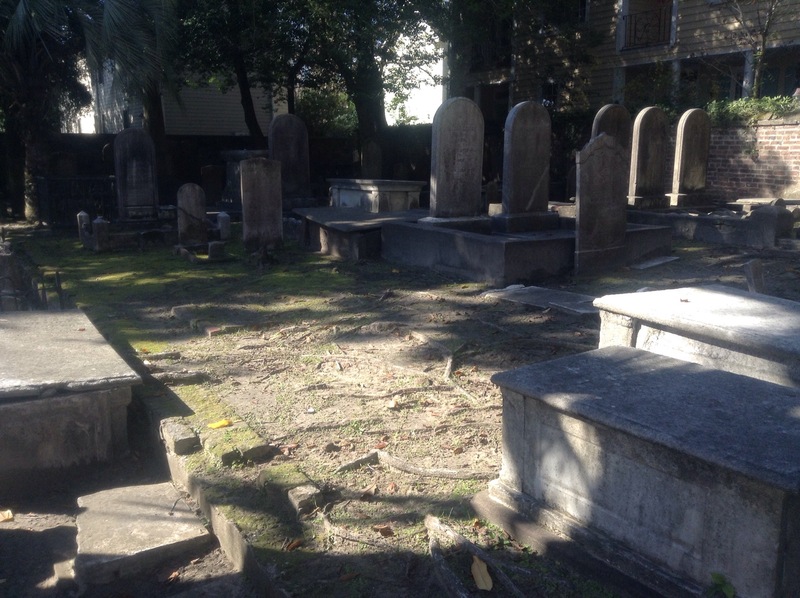 It was a great pleasure to visit Beth Elohim’s historic cemetery. I thank Beth Elohim president Anita Moise Rosenberg for taking the time to share it with me. ← Beth Elohim – Charleston, S.C. I took a private tour of that cemetery back in May and yes, it is a stunning place. It’s unfortunate that they have to keep it locked up but I understand why. My compliments to your description on such important Historical landmark. I recommend you to confirm the aforementioned family names as I understand you refer to members of the Seixas family (not Seixes). Hi! Thank you for the wonderful feedback. In terms of the spelling you are quite right! I’ll switch the ‘a’ for an ‘e.’ Thanks! 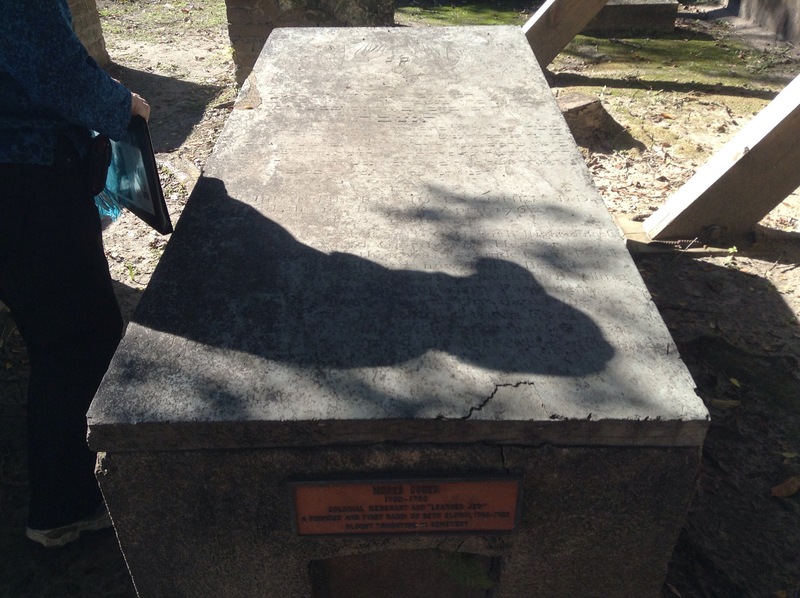 Thank you for visiting this cemetery and the one in Savannah. I am a descendant of many people buried in both cemeteries. The Benjamin, Alexander ,De Pass, De La Motta, Cohen and Da Costa families are among my ancestors. Many of their children went to Jamaica in the early 1800’s. I enjoyed reading your comments!!!! Laura, thank you for sharing. It was a wonderful experience for me. Do you know what brought your family to relocate to Jamaica? As you probably saw, I just came back from there. I am interested in the connections between the various communities. If I had to guess why they went to Jamaica, it would be because they were merchants. I also had family in St. Eustatius and St. Croix and Africa(Guinea) in the 1700 and 1800’s. They were all Jewish. I am so lucky many of the Jewish records are still available. I did see you were in Jamaica. The Jewmacian history is so interesting.Thank you, Laura. Laura, very interesting! Please tell me, which records are still available? I love learning about what archives and documents are still extant.